OOingle - Girl Geek-Out - Is a FREE Higher Education Possible?? My 17 yr old who is a senior in High School came across this on Reddit and was quite excited about the idea himself, but now that I’ve read it over I’m seriously considering it for myself. 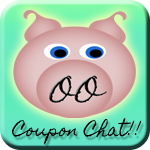 World Education University they are the first to offer full degree granting courses at no cost to the students ONLINE. Funding for the school is through advertisements displayed while on the site. A small price to pay for a FREE College Education. At this time WEU is not accredited they do mention they have the papers prepared and are working at becoming accredited however make no claim to when and if they will be able to. At first thought this is a bit of a concern, like how will I be able to transfer my credits or will the degree I earn hold up to anything. I however did some looking into this, I noticed that a lot of accredited colleges and universities actually include a part in the their credit transfer policy regarding non-accredited college credits and most that I found will give you some credit for those. I saw one school they limit you to 45 credits transferred from a non-accredited institution. And lines like that seemed to be the norm. On the Associate Degrees this includes the typical General Education Courses that you would take in any institution. Be sure to look through their actual Full Catalog to see the full requirements and prerequisites for any degree you are after. I am looking into the Associate of Arts in Digital Media, I believe it will help me with becoming a better blogger for you guys and help me with my other venture of Graphic Arts. I will be taking on 22 Courses total. This is a completely new venture for me, when I graduated High School in 1997 I flirted with the idea of continuing my education but since I was raising my oldest and helping my mom out, I just never found the time. For me accredited or not this is the best option I have, I do not have the option of taking on a education cost. And in this day and age, college education or not, it does not fully seem to matter. However taking the time to learn more, and focus your time on something has to be worth something, even if just for a personal satisfaction of knowing you did it. WEU is not the only Free Online options to education there are plenty of other Massive Open Online Course (MOOC) options , however the others just tend to offer a certificate of mastery. MIT has MITx and offers 8 courses on the joint effort website edX along with Harvard, Berkeley, Wellesley, Georgetown & University of Texas. Again none of these will earn you a degree, or college credits. Just a chance at learning from a top educational institute. 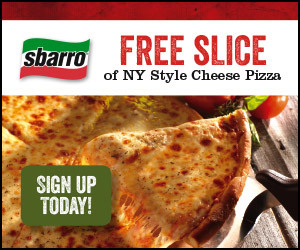 FREE Slice of Sbarro Cheese Pizza! !